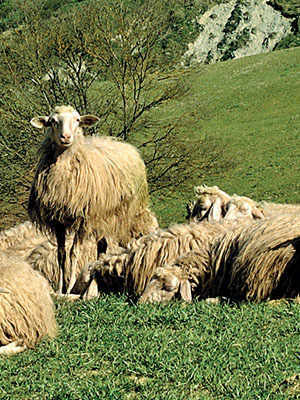 Rustic, ancient and proud: the Sardo-Modican breed is the reigning queen of the pastures on the Montiferru, a fascinating and uncontaminated mountainous massif in the Oristano territory. The Montiferru is a part of Central-Western Sardinia. 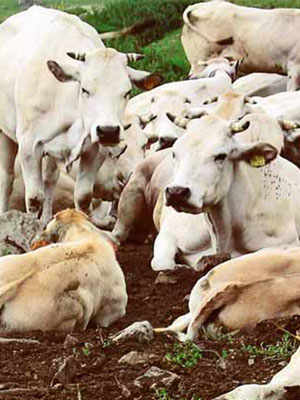 It is a harsh territory, which has always been utilised for cattle farming. 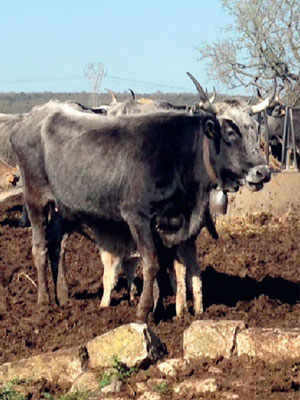 The history of the red ox started with the cross of the Modicana breed of cattle with the Podolica breed of the Montiferru. This cross gave birth to the Sardo-Modican breed, the red ox. The success that these animals had in this area is attributed to their physical strength and adaptability to pastures even in mountainous terrain. What’s more, they satisfied two needs: they produce both milk and meat. The Sardo-Modican milk is used for Casizolu, a Sardinian cheese similar to provolone which, along with the meat, is under Slow Food label. For most of the year, cattle farming takes place in open air on the Montiferru massif and on the Abbastanta plateau, between 250 and 800 metres above sea level. In these environments, the animals can graze between cork oaks, myrtle, holly oak and the so-called strawberry tree, Arbutus unedo. In times of drought, their feed is supplemented with concentrated forage, all rigorously GMO-free. 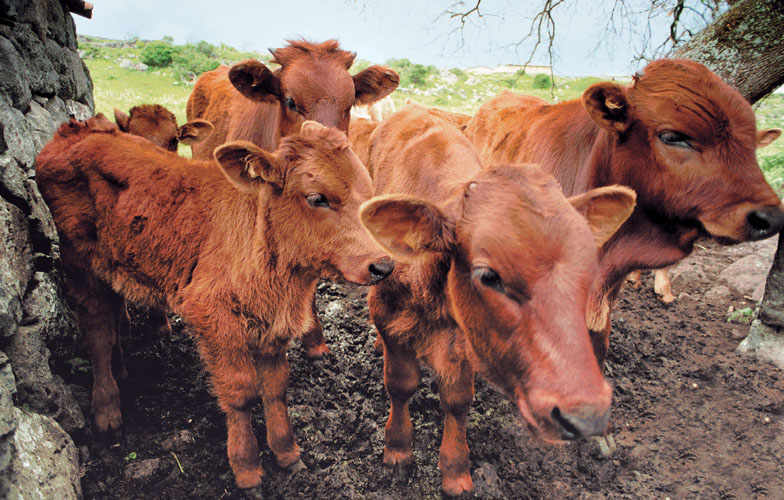 The secret of the flavour of red ox meat is the semi-free-range farming which allows for a nearly one-of-a-kind environmental quality of the territory. Foraging also holds great value, which is based on local vegetation varieties. The cattle is characterised by a high skeletal development and stature, but with a low level of muscle mass. The weight of the live animal can vary between specimens and seasons, depending on the different nutritional state. On average, well-fed cattle can weigh between 450 and 550 kilos for adults and weight at birth can be as high as 30 – 35 kilos. The age range for butchering goes from 12 to 26 months, despite the yield of meat being only 54%. Rex ox meat is like the animal it comes from: strong and lean. The Montiferru territory is steep and irregular, and the muscles of the cattle become tight and fibrous in the wild. To make this meat tender, the key techniques are finishing and dry-aging, which last longer than average. 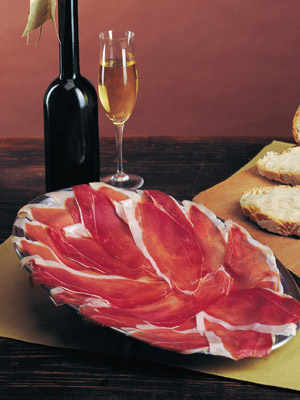 Finishing can extend up to five months and dry-aging can last fifteen days. Red ox meat can be used for many preparations of the Sardinian culinary tradition: boiled, in meatballs, stews and sauces.